Sounds a lot like the swype, except that the suggestions appear directly over the keys. When RIM trotted out BlackBerry 10 for its official unveil last month we were left with frustratingly little to evaluate. We did get to spend some time with the BlackBerry 10 Dev Alpha device, but it was essentially just a shrunken down PlayBook, and it didn't feature many of the new features that RIM teased us with. 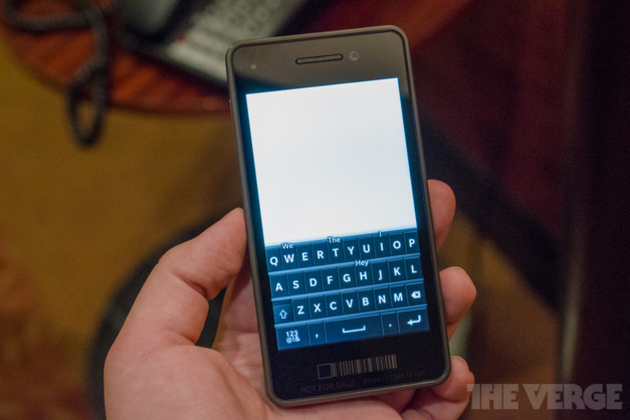 Thankfully, today at BlackBerry 10 Jam here in New York we've had the opportunity to use one of the most anticipated new features in BlackBerry 10 — a redesigned capacitive keyboard with predictive text recommendations.